You might not have a sense of humour... could happen! 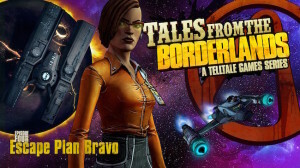 Tales from the Borderlands has transcended its inherrited lineage and become something truly impressive in its own right. Becoming one of 2015′s essential purchases. Tales from the Borderlands has, so far, been one of the highlights of the year. Taking a world that many, myself included, care very little about and producing a witty and compelling adventure title. 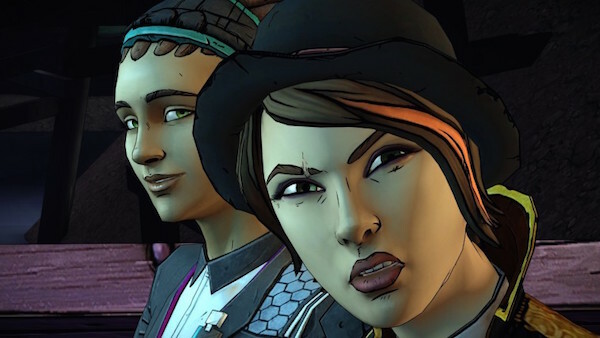 With Tales from the Borderlands Episode 4 though Telltale have to try and steer this giggle cavalcade of one liners and sight-gags towards some semblance of a climax. The imposed course that is being applied to Escape Plan Bravo could have easily taken the shine from the grand standing and comical nature – fortunately Telltale have managed to mostly sidestep this issue and deliver a climax setup that transcends their world and bleeds in to Gearbox’s great universe. We return once again to see how our intrepid vault hunters are getting along. Rhys, still struggling with the digital spirit of Handsome Jack, manages to formulate a cunning plan to get back on board Helios and find the next item on their quest. Fiona, as acerbic and streetwise as ever, becomes ever-more our unwitting heroine. Escape Plan Bravo is a particularly short affair. Opting to keep things short and punchy rather than play for time. This manages to keep the plot, such as it is this time out, moving along at a fast rate. Yes, if any real criticism can be levelled at this episode it’s that it moves the plot along a small step only. That said it’s an interesting and well delivered step! Previous episodes in the series have had plenty of action heavy sequences – in fact it’s been one of the things that’s distanced Tales from a lot of the other Telltale titles. Escape Plan Bravo pulls back from action this time out, opting more for story and character interactions. This could be seen, by some, as a step back for the series BUT I urge you to hold judgement until you see the huge ‘shoot-out’ sequence… It’s the kind of genius that can make or break a series and a sure nomination for spectacle of the year! It feels redundant to tell you, yet again, that the game looks great and sounds fantastic. The visuals are Gearbox meets Telltale and it works perfectly. Animation is still a pet peeve of mine where Telltale titles are concerned but it’s nothing out of the ordinary – titles like Life is Strange and King’s Quest are doing this better. Voice work, soundtrack and the obligatory licensed tune for yet another wonderfully executed title sequence are all top of their game and no other series, Telltale or otherwise, can touch it. The great thing with this series, and Episode 4 possibly the best example of this, is that Telltale have taken a world and characters and made them their own. 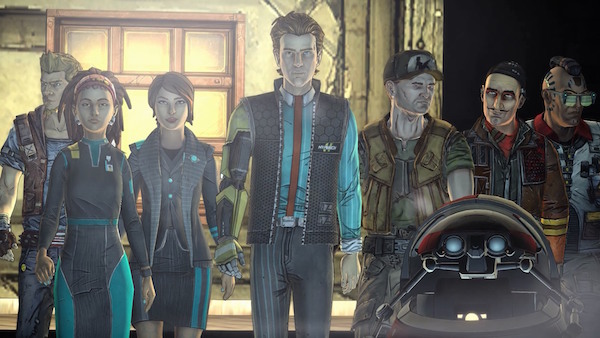 They’ve crafted lore that not only lives in the Telltale Borderlands universe, but will hopefully bleed over into any future Borderlands titles that Gearbox produce. 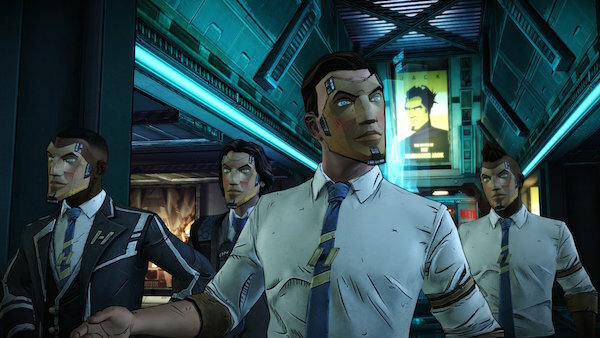 Escape Plan Bravo cements Tales from the Borderlands as one of the must play franchises from Telltale. It’s well written, funnier than almost anything else out there and chock-full of great ideas and gags. Sure, this episode slows things down a little but it replaces that pace with some great dialogue, ingenious sequences and some poignant moments. It might feel like your barely 2 hours have been spent doing very little but the characters and world move along in a meaningful way and set up the ending well. 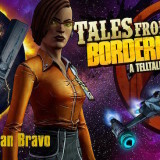 Truly, and I hope I don’t jinx it, Tales from the Borderlands is quickly becoming the best thing Telltale have produced since the first season of The Walking Dead and Escape Plan Bravo is one of the best episodes so far. Nothing more can be said without delving into the story and nobody wants that ruined. If you liked the previous episodes you’re in for a treat. If you’ve been on the fence about buying Tales then for Hyperion’s sake go buy it now!